As gift cards become more and more popular for holidays and other celebrations, card issuers must become more competitive and provide more attractive card offers by following gift card best practices. Attractive features not only make gift cards more marketable, but they also make for happier customers. Restrictive terms, vague regulations, and excessive fees all contribute to a negative view of gift cards. To provide a more positive view, issuers make sure to blatantly advertise the ease of use of their cards. Some states do not allow for certain fees or expiration dates, and card issuers operating within these states must adhere to these state regulations. Although different states have different laws for gift cards, there is a general consensus among issuers and consumers that gift card best practices include several aspects. Many cards do not have any expiration date. But if an expiration date is specified, then the date should be prominently displayed on the card and the date should not occur too quickly after the purchase. Issuers should also feature an option to transfer an expired balance to another card for a nominal fee. Not all gift cards have fees. Gift cards for department and specialty stores, for example, often have no initial purchase fee and rarely feature monthly fees. Gift cards that are designed for use as prepaid debit cards traditionally have more fees, but gift card best practices call for the least amount of fees possible. Purchasers do not like to see their available balances rapidly shrink from fees, and this can dissuade buyers from obtaining cards for gift-giving. As a result, card companies try to avoid fees when possible. The more cards are advertised as fee-free, the more attractive they are to consumers. All terms and conditions set forth by card issuers should be completely disclosed in easy-to-understand terminology. Excessive fees and restricted usage availability should not be masked by complicated legal lingo. In other words, if a card cannot be used for gasoline purchases it should be stated in plain language within the terms of the card. Issuers also need to make the terms and conditions of the cards readily available to consumers upon request. By Federal law, terms and conditions are listed on a website and in materials provided with a card upon initial purchase. The reasoning behind this is that without terms and conditions readily available, the purchaser can't be entirely certain of how the card can be used and for how long. Retailers and other card issuers make a profit from gift cards in several ways. For retailers, the funds have already been paid by the card buyer regardless of if any purchase is made. This means that a $500 card purchased for a clothing store might be sent to the recipient and then forgotten about, but the retailer still has the $500 regardless of whether the card is ever used or not. 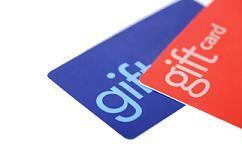 Cards are relatively inexpensive to produce, so any fees associated with gift cards result in profit. Issuers must tread with caution, however, to not load unnecessary fees onto gift cards since this may discourage customers from buying the cards. Best practices regarding marketing and profitability encourage companies to receive the highest amount of profit without taking advantage of consumers, and the same principle holds true for prepaid gift cards.